Image via Overlaet / Wikimedia Commons, used under the Creative Commons Attribution-Share Alike 3.0 Unported license; cropped from original. The Volkswagen Group is reinforcing its team with highly qualified IT specialists and strongly expanding its know-how in the fields of artificial intelligence, big data, virtual reality, smart production and connectivity. 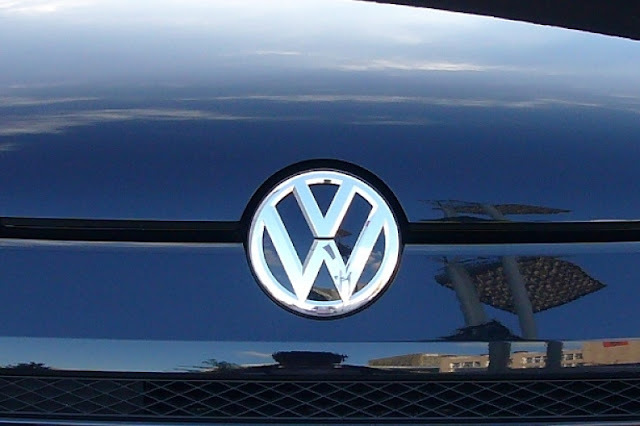 For these tasks, Volkswagen is increasingly recruiting highly qualified lateral entrants from a variety of high-tech sectors, the gaming industry, and top-level research. In the next three years alone, the Group will be securing the services of more than 1,000 IT experts. Dr. Karlheinz Blessing, Member of the Board of Management of the Volkswagen Group responsible for Human Resources, says: "people who want to shape the future of mobility are coming to Volkswagen. We are tackling the major challenges of the future with the best people: digitalization, software development, E-mobility, autonomous driving and mobility services. For these fields, we are reinforcing our team with top-class experts." Over the next three years, the Volkswagen Group is recruiting more than 1,000 IT specialists; half of these people will be employed in Wolfsburg. They will work in the core IT organization at the company's headquarters as well as in IT labs in Wolfsburg, Berlin, and Munich. These labs are creating new solutions in the fields of big data, Industry 4.0, the Internet of things, connectivity, mobility services and virtual reality. Dr. Martin Hofmann, CIO of the Volkswagen Group, says: "The tasks we face are more varied and interesting than ever before. In the global mobility group Volkswagen, IT means: international cooperation, versatile working in fast, creative teams and the most advanced technology. In brief: nowhere is IT more exciting than at Volkswagen." Over the past few months, Volkswagen Group IT has already recruited highly specialized lateral entrants from a variety of sectors and countries – including robotics experts, level designers, design thinking experts, and AI research workers. These new employees are working in units such as the Virtual Engineering Lab, the Data Lab, the Smart Production Lab, the Ideation Hub or Group IT in Wolfsburg.